How far you've come. 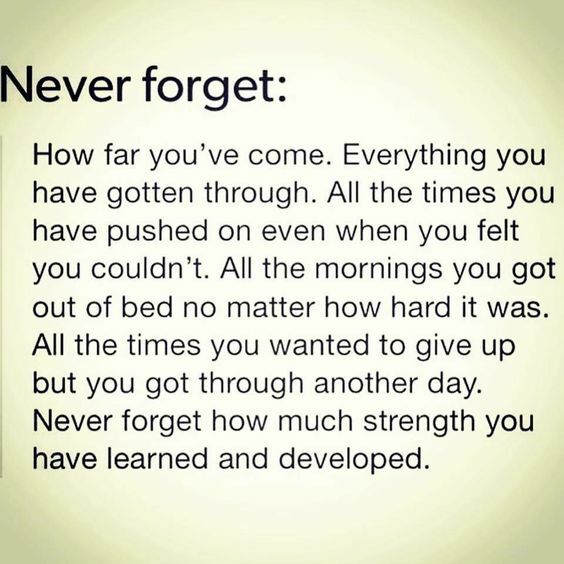 Everything you have gotten through. All the times you have pushed on even when you felt you couldn't. All the mornings you got out of bed no matter how hard it was. All the times you wanted to give up but you got through another day. 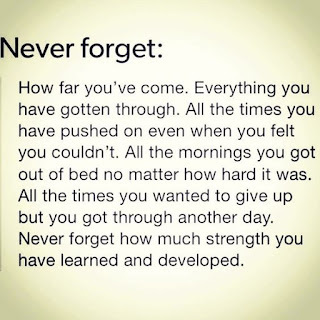 Never forget how much strength your have learn and developed.